‘Skaill House Falconry’ is a unique Orkney experience, independent of the House itself, which offers an extra attraction for visitors to Skaill House. There are currently seven birds of prey to see, 3 Harris Hawks, 1 Lanner Falcon, 1 Barn Owl, 1 Boobook Owl and a Crested Caracara. The Birds are housed within the grounds of Skaill House in our sheltered Walled Garden, and the Falconry team hold daily flying displays (weather permitting). Experience sessions and field trips can also be booked in advance for those who want to learn more about the training, care and handling of the birds. 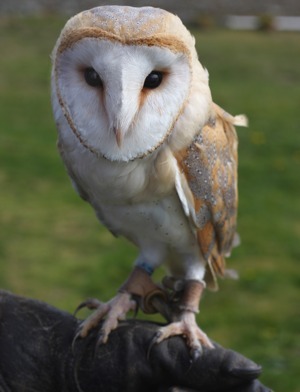 Admission to the Walled Garden is via a separate charge to Skaill House and Skara Brae, and a visit to the Falconry can be made without visiting either site if it is just the Falconry that interests you. For more information and contact details visit www.skaillhousefalconry.co.uk. Experience sessions available. Booking essential. Special rates available for guests staying at Laingskaill or Peerieskaill self catering apartments.